A gunman opened fire shortly after 8 PM (LOCAL TIME) near Place Kleber. Millions of people are attracted to this place each year due to the annual Christmas market. The market is one of the oldest in Europe with over 300 wooden stalls set up in the city centre from November 23rd til Christmas Eve. Despite the tight security, with unauthorised vehicles not allowed in the surrounding streets during the opening hours and checkpoints to search people, the gunman still managed to get past. Heavily armed police were seen running towards the scene of the incident shortly after it was reported and the square was evacuated. Police were able to identify the "lone gunman", who was well known to the police for his criminal past activities, he was due to be arrested earlier but due to complications he wasn't. 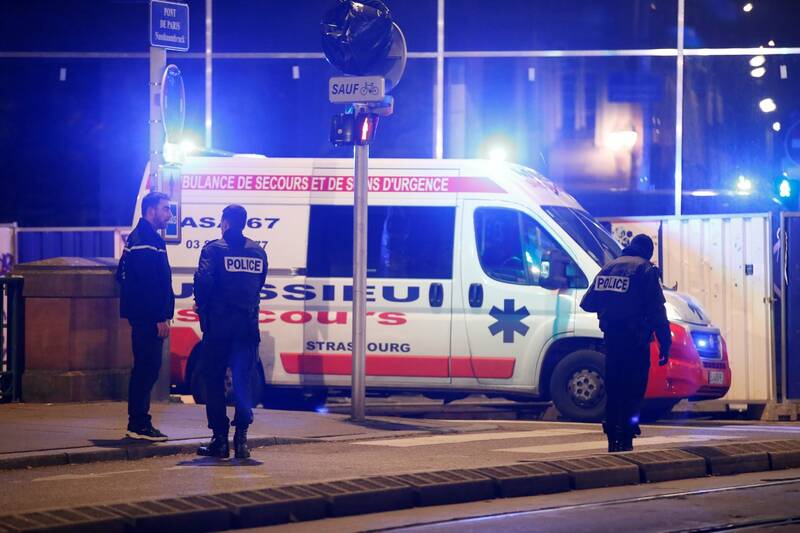 After a shootout with soldiers patrolling as part of France's Sentinel anti-terror operation, he was wounded but managed to escape. He is currently being searched for by the police. The police have opened a terror investigation for murder and attempted murder. "Most people were shocked, confused - there was pandemonium - people didn't understand what was happening - we hadn't [either]. We had heard the shots quite clearly and there were people running away from the scene." said a bystander. A local shopkeeper said "There were gunshots and people running everywhere, It lasted about 10 minutes." The European parliament, who were in meeting 3.4 km away from the incident were put into lock-down. Residents living nearby were also told to stay inside. The head of the European Commission tweeted that "My thoughts are with the victims of the Strasbourg shooting, which I condemn with the utmost firmness, Strasbourg is an excellent symbol of peace and European Democracy. Values that we will always defend." England's Prime Minister, Theresa May, tweeted that she is "shocked and saddened" at the "terrible" attack in Strasbourg. and that her "thoughts are with all of those affected and with the French people." What do you think about this, let us know in the comments below!